We love having you onboard, and we're delighted that 92% of customers feel the same. My Red Funnel Rewards is our little way of saying thanks. For every £1 you spend on ferry tickets and food & drinks we'll award you with up to five points - registering is free so start collecting today! Step 1 Login or Sign up to My Red Funnel and add My Rewards to your account. Step 2 Collect - you'll get 4-5 points for every £1 spent on ferry travel or food & drinks from our ReFuel café restaurants and Steam Coffee Co. outlets. Each point is worth a penny. 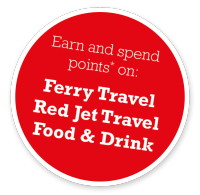 Step 3 Redeem - points give free or discounted ferry journeys or you can use them them to purchase food and drinks. Step 4 Keep track - your points statement and some ideas for spending them are all available online. 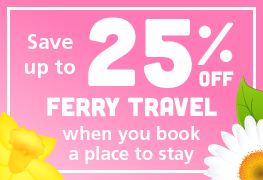 New to My Red Funnel Rewards, take advantage of these great partner offers. To redeem, simply show your rewards card to staff when purchasing. Rewarding yourself has never been better! Free cocktail or soft drink with a main meal. Offer valid every day of the week. Valid on Dancing Man own beer only. Valid in Guildhall and Woolston Mettricks. Offer valid Monday to Thursday only. Valid for whole group booking. 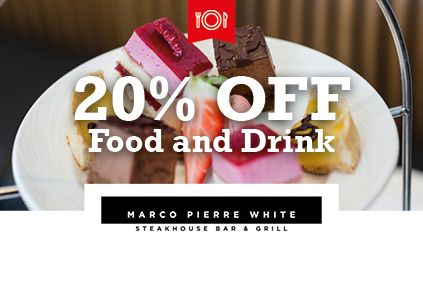 20% off food and drink. 1. Free Cocktail available when you order a main meal from the main menu. 2. 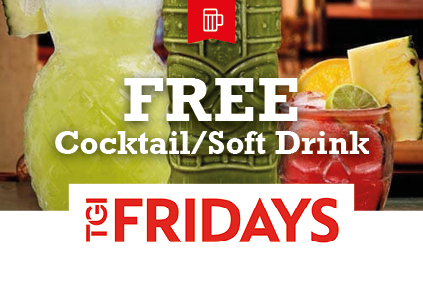 Choose from TGI Fridays selection of: Woo Woo, June Bug, Long Island Iced Tea, Paradise Punch, Gremlin, Cosmopolitan, Purple Rain, Singapore Sling, any regular mocktail, regular shake or any regular smoothie only, when each guest purchases a main course meal from the main menu (Excludes set menus, promotional menus and kids menu). 3. Ultimate versions are not available within this offer Offer open to persons aged over 18 years only, ID may be requested on presentation of reward. 4. This voucher cannot be used with any other offer, discount or privilege. Voucher has no cash value or cash alternative. 1. Offer valid every day of the week. 2. Not valid in conjunction with any other offer. 3. You must present your rewards card upon purchase. 1. 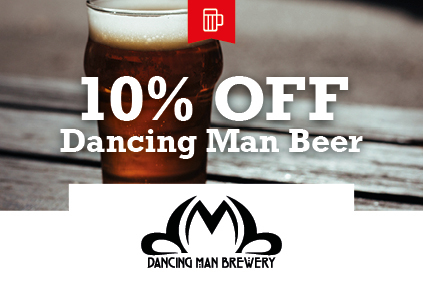 Offer valid on Dancing Man Beer only. 2. Voucher has no cash value. 3. Not valid in conjunction with any other offer. 1. All offers not valid in conjunction with any other offer or promotion. 1. Valid for coffee, breakfast, lunch, afternoon tea or dinner. 2. 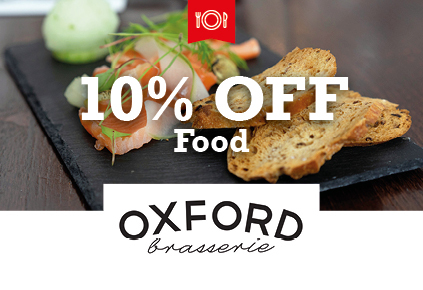 10% off the bill of the cardholder. 1. 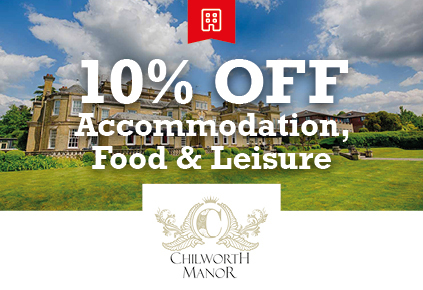 Valid for dinner, bed and breakfast or Bed and Breakfast Stays. 1. Valid for spa treatments. 2. 10% off for the cardholder. 1. 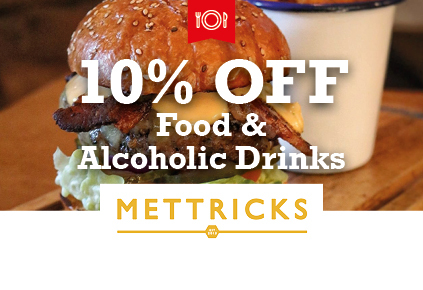 Offer valid every day of the week at Mettricks Guildhall and Mettricks Woolston only. 2. Offer applies to food and alcoholic drinks. 3. 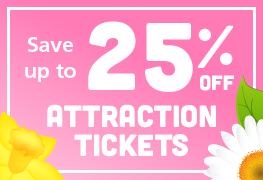 Not valid in conjunction with any other offer or promotion. 1. 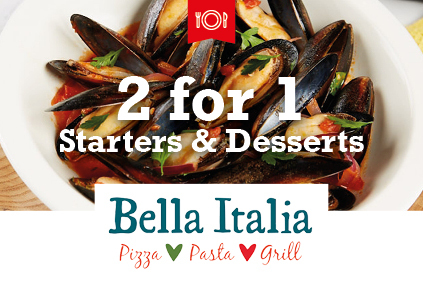 Offer valid Monday to Thursday (excludes bank holidays). 2. Offer valid in Southampton Hanover branch only. 4. One reward card can be used for up to 4 people at the same table. 5. Customers must let staff know they plan to redeem the offer upon arrival. 1. Offer valid all week. 2. 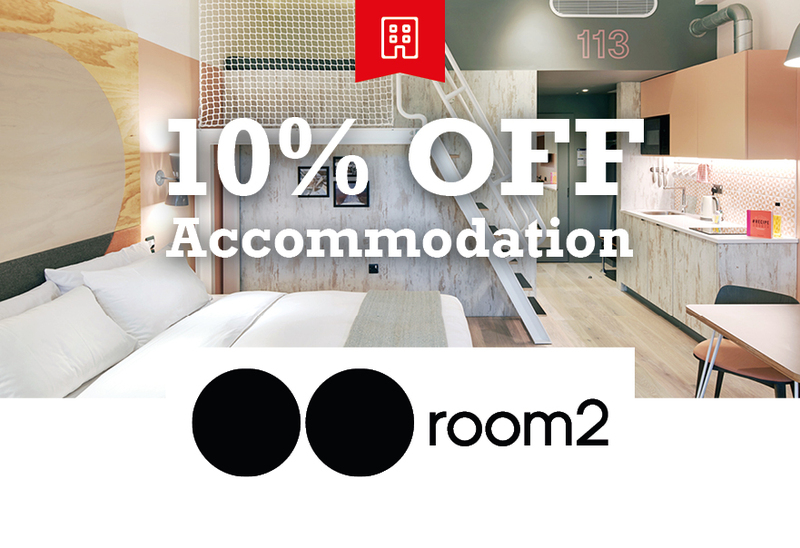 Customers must mention the offer at the time of booking. 3. Reservations are advised beforehand. 1. Offer not valid in conjunction with any other offer. 3. 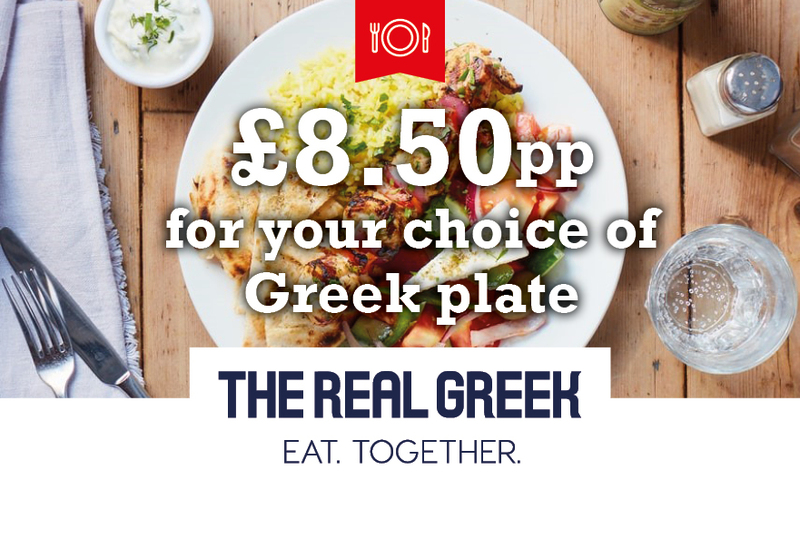 Valid at The Real Greek Southampton location only. 1. Offer valid for up to 4 people. 2. 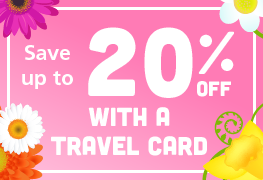 Valid until September 1st 2019. 3. Dates excluded: 8 & 9 December, 24 December 2018 to 1 January 2019. 4. Offer not valid in conjunction with any other offer. 5. Please check the website before you visit. 6. Offer valid every day of the week. 2. Valid 10th November 2018 - 6th January 2019. 3. Offer not valid in conjunction with any other offer. 4. Offer valid every day of the week. 1. Valid for a whole group booking. 2. 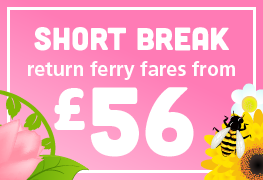 The code is REDFUNNEL - book online or quote over the phone. 3. Show card on arrival. If you do not have your card then you will be charged the amount previously discounted. 1. One person per card. 2. Offer valid every day of the week. 3.Not valid in conjunction with any other offer. 2. You must present your rewards card upon purchase. 3. Dates excluded: 24-26 December 2018 to 1 January 2019. 3. Must be booked direct with room2 Southampton. 4. 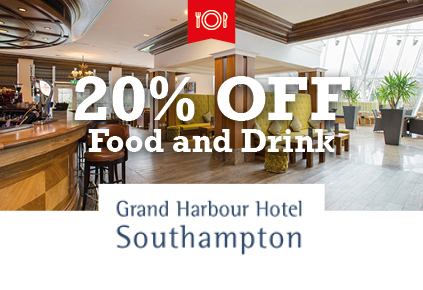 Ensure your "Red Funnel Members" voucher code is entered. 5. Can be cancelled free of charge up to 24 hours prior. 6. Must show My Red Funnel Rewards Card on arrival. 1. Valid on all advertised menu items only. 2. Must show My Red Funnel Rewards Card when ordering. 3. Valid until 31st December 2019. 4. Not valid in conjunction with any other offer.